The main research activities are related to food, environmental and industrial microbiology. 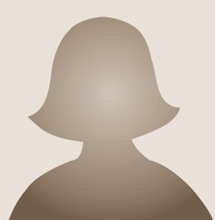 One of the most important research topic is the fermented beverages. Moreover, the research group is involved in studies on genetic, biochemical and physiological aspects of yeasts and its metabolites of the industrial interest. In particular the research activities of our group are: i) isolation, selection and characterization of wine yeasts; ii) new fermentation biotechnologies in winemaking (immobilization, multistarter fermentation); iii) investigations on ecology and physiology of wine yeasts. Mainly, we studied the metabolic characterization of wine-related yeasts, respiro-fermentative metabolism of food related microorganisms and metabolism of compounds of interest for wine quality. Moreover, we investigate on molecular and biochemical characterization of antimicrobial compounds from yeasts for food and industrial application. Another research topic is related to environmental contamination by xenobiotic and biomass recycle procedures. In this context, the studies on the evolution of microbial community in different habitats are carried out using culture dependent and culture independent methods such as DGGE (Denaturing Gradient Gel Electrophoresis, real time PCR technique. 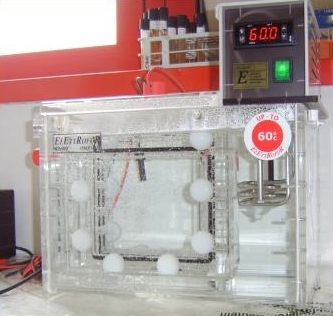 The bioreactor’s system is equipped with 5 vessels of 2 liters of volume. 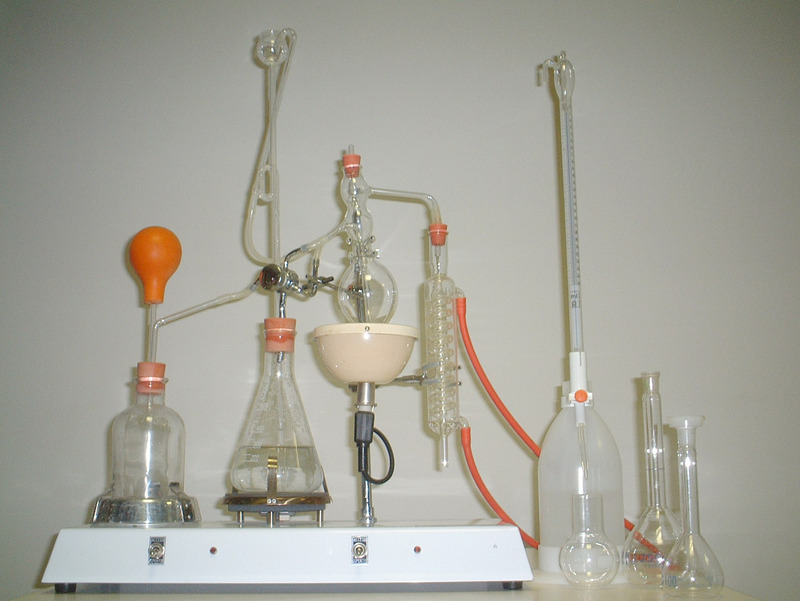 In these apparatus biological or biochemical processes are carried out to study fermentations of microorganisms or biochemically active substances derived from such organisms. This process can either be aerobic or anaerobic. The bioreactors are cylindrical, ranging in size from liters to cubic meters, and are often made of stainless steel. 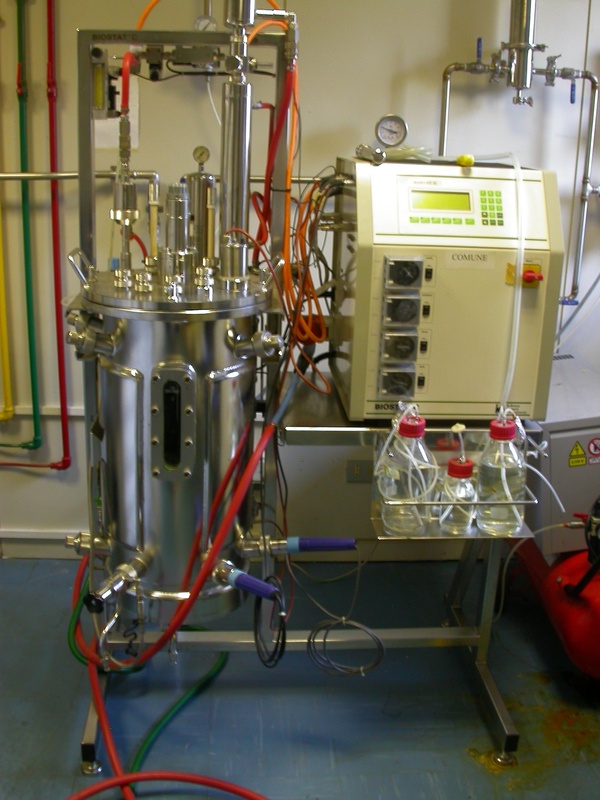 In our laboratory also a bioreactor of 35 liters. Flow cytometry is a technique for counting and examining microscopic cells and chromosomes, by suspending them in a stream of fluid and passing them by an electronic detection apparatus. It allows simultaneous multi-parametric analysis of the physical and/or chemical characteristics of up to thousands of particles per second. 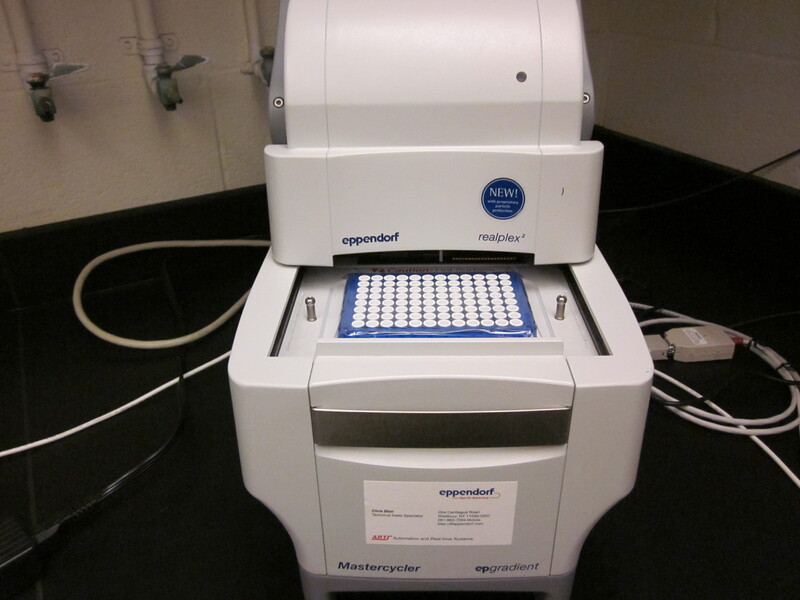 Flow cytometry is routinely used in applied microbiology to study the damage induced by natural antimicrobial compounds (such as killer toxins) on sensitive yeast cells. 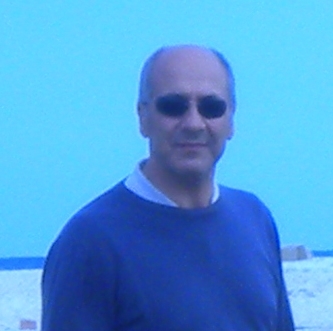 A common variation is to physically sort particles based on their properties, so as to purify populations of interest. High-performance liquid chromatography (sometimes referred to as high-pressure liquid chromatography) was used to separate a mixture of compounds (generally volatile compounds) and is used to identify, quantify and purify the individual components in the mixture. 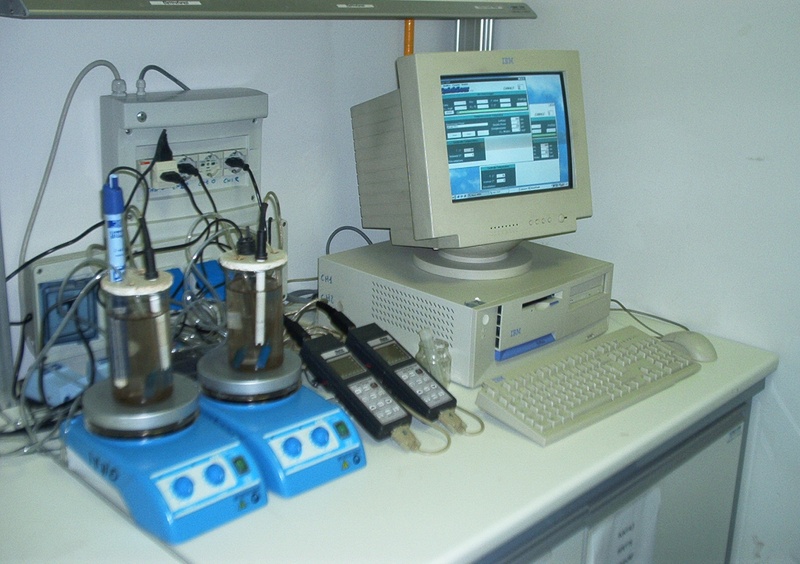 Gas chromatography, is a common type of chromatography used in analytical chemistry for separating and analysing compounds that can be vaporized without decomposition. 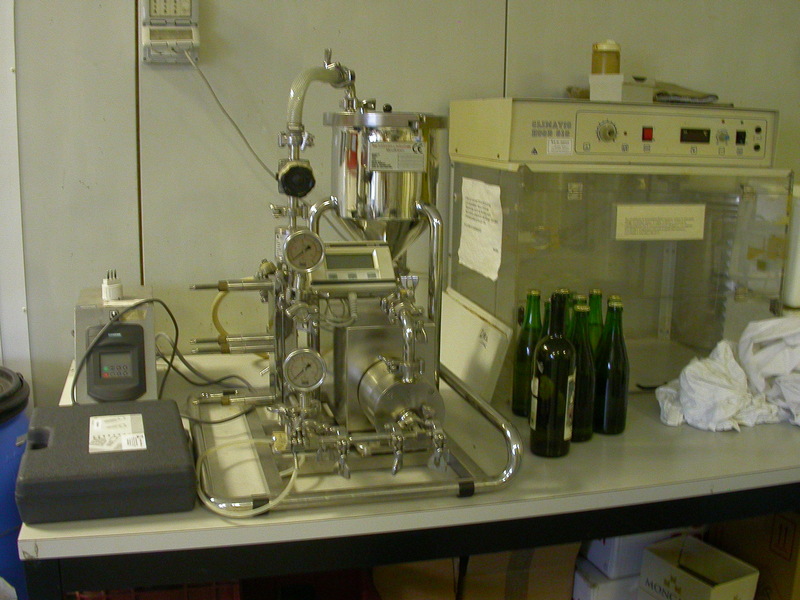 Typical uses of GC include testing the purity of a particular substance, or separating the different components of a mixture (the relative amounts of such volatile components in wine). In some situations, GC may help in identifying and quantization of compounds. 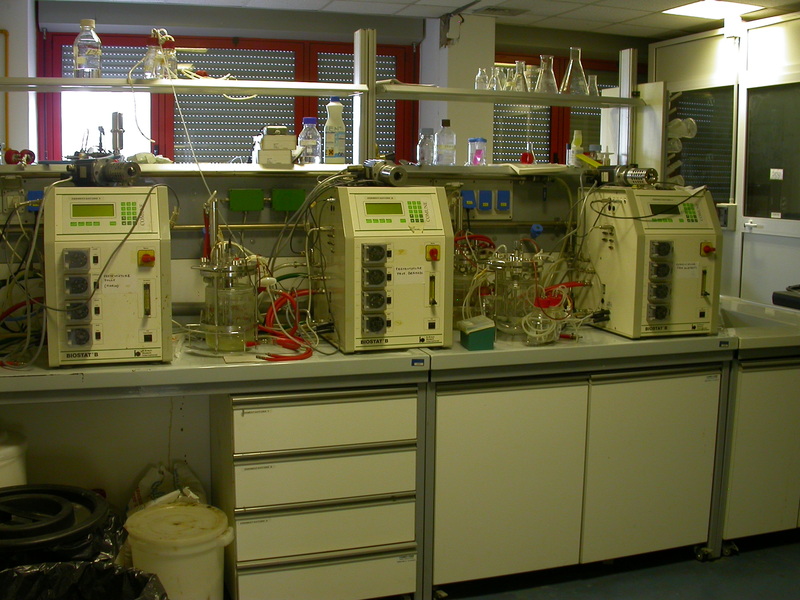 In preparative chromatography, GC can be used to prepare pure compounds from a mixture. 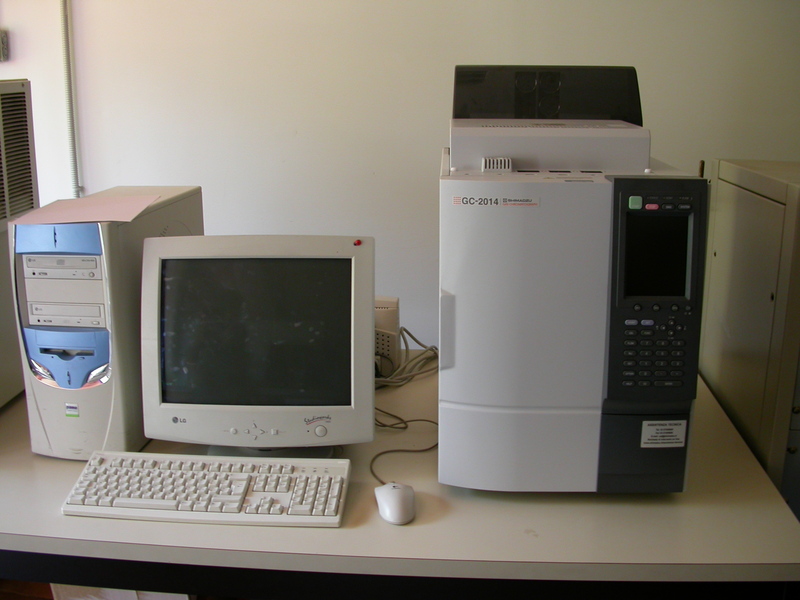 The real-time polymerase chain reaction, also called quantitative real time polymerase chain reaction (Q-PCR/qPCR/qrt-PCR) is a laboratory technique based on the PCR, which is used to amplify and simultaneously quantify a targeted DNA molecule. For one or more specific sequences in a DNA sample, Real Time-PCR enables both detection and quantification. The quantity can be either an absolute number of copies or a relative amount when normalized to DNA input or additional normalizing genes. In our laboratory we applied this technique: i) to determine the global gene expression responses of S. cerevisiae to the killer toxin produced by others yeasts with a view to gaining insight into the mechanisms and processes; ii) to sutdy the interactions between different yeast species during multistarter wine fermentations. The respirometric technique S.O.U.R. (Specific Oxygen Uptake Rate) is used to assess compost stability, this method measures the OUR in a suspension of solid sample in an aqueous medium containing nutrients. Temperature Gradient Gel Electrophoresis (DGGE) and Denaturing Gradient Gel Electrophoresis (DGGE) are forms of electrophoresis which use either a temperature or chemical gradient to denature the sample as it moves across an acrylamide gel. DGGE can be applied to nucleic acids such as DNA and RNA, and (less commonly) proteins. Juffman acidimeter is an instrument for measuring the strength of volatile acids in a solution., generally employed for wine characterization. The micro-ultrafiltration system use a variety of membrane filtration in which hydrostatic pressure forces a fermented liquid against a semi-permeable membrane, with variable cut-off. Suspended solids and solutes of high molecular weight are retained, while water and low molecular weight solutes pass through the membrane. This separation process is used in our laboratory for purifying and concentrating killer toxins produced by yeasts or other metabolites.